We invite request for proposals from Chartered Accountant Firms/Groups for conducting financial and tax due diligence of Bank of Baroda, Dena Bank and Vijaya Bank. Bank of Baroda would like to undertake a financial and tax due diligence exercise on the proposed amalgamation of Bank of Baroda, Dena Bank and Vijaya Bank. Financial Due Diligence which shall include analysis of financial accounting and tax data to identify major issues and risks. A Detailed Scope of Work is attached as Annexure A to this RFP. Annexure A is just indicative and not exhaustive. The objective is to conduct a detailed and thorough examination of Bank of Baroda Dena Bank and Vijaya Bank, analyse and verify in terms of correctness of ledgers and financial results presented in the balance sheet with a view to assessing its condition and determining the potential business and various risks. Assess the consistency of the accounting norms/policies adopted by each of the three Banks and quantify the losses/surplus with regards to credit losses, provisions related to NPA in Fund Based and Non Fund Based facilities and various expenses. The Due Diligence exercise should also quantify the incremental liabilities and ensure consistency in accounting and provisioning moving forward and wherever required write downs by the three Banks. Details of the team members proposed for the transaction. Containing the Financial Bid as a lump sum amount for the entire activity in a sealed envelope. The Financial Bid should be submitted including all out of pocket expenses and any applicable taxes except Goods and Service Tax. Due to stringent timelines, the proposal can be submitted latest by 1600 hours on 16th October 2018 to the Chief Financial Officer, Bank of Baroda, Baroda Corporate Centre, 2nd Floor, C-26, G-Block, Bandra Kurla Complex, Bandra East, Mumbai – 400 051 in hard copies in original, duly signed by the authorized officer of the Bidder. No proposal will be entertained after the appointed time and date. Bank of Baroda or any of its agents will not be responsible for any postal/ courier delay. The proposals received after the appointed time and date will be rejected. Prior experience in Mergers and Acquisitions of Banks in India or Abroad is necessary. At any time prior to the last date and time for submission of bids, the Bank, may, for any reason, modify the Bidding Documents through amendments at the sole discretion of the Bank. All amendments shall be uploaded on the Bank’s website and will be binding on all who are interested in bidding. In order to provide specified bidders a reasonable tile to take the amendment if any, into account in preparing their bid, the Bank may, at its discretion, extend the deadline for submission of bids. The proposal for conducting financial and tax due diligence will be reviewed by a committee and the same will be scored based upon the technical capabilities and credential of the bidder. The bidders may be called for presentation and the date for the presentation will be intimated in due course. The Financial bids will be opened and will be scored proportionately, starting with the lowest bidder getting the highest mark. The date of opening of the financial bids will be intimated separately. The final selection of the bidder will be done based on a combined matrix of Technical and Financial Score. The committee will use its prudence in finalizing the appointment so as to maintain independence of bidders appointed by Dena Bank and Vijaya Bank. The decision of the committee on the matter of selection will be final and binding. As there are stringent timelines, selected bidder should provide sufficient resources to complete the exercise as per discretion of the management. Details of incorporation and current legal status of the Bank. Brief history and background of the Bank along with details of the lending and financial products offered and the branch network. Organisation structure with background and profile of key employees as at latest available date. Details of the shareholding structure of the Bank as on 31 March 2016, 31 March 2017, 31 March 2018 and 30 Sept 2018 along with details of changes in the shareholding during the coverage period. Details of senior management changes in the loans business over the last two years and any foreseen changes in senior management or organizational structure. Overview of Origination, Underwriting, Operations, Collections/ Recoveries, Accounting, HR, IT and key IT systems being used by the Entity. Capital adequacy calculations as at September and March every year for the period under coverage. All communications with RBI including the returns filed at periodic intervals. Asset liability management policy and monthly/quarterly/half yearly asset liability management reports. Please provide both ALM based on contracted maturity. Details of key products offered/ customer segments, corresponding income and cost streams. Monthly MIS (branch wise & overall) reports generated and reviewed by the management to evaluate performance on an ongoing basis and reconciliation with financial statement for the period covered. Audit committee presentations and management letters issued by the auditors of the company. Note on fraud risk management policy and cases of frauds/ misappropriations identified/ reported to management/ RBI corresponding provisions and basis therefor. Latest loan book and understand key parameters captured for the classification of loan assets. Growth of the portfolio during diligence period within branches/geographies, customer type, maturity profile and classification with respect to RBI prudential norms. Details of loan approval under process – approved/ sanctioned but not disbursed (count and value with underlying breakdowns) as at the balance sheet dates. Credit/ underwriting, monitoring, recovery and operations policies relevant to the period covered and summary changes to these policies. Details of historical NPA (gross and net) and policy for provisioning for NPA in loans, including workings relating to provisions made during the period covered. Details of historical recoveries from NPA and recorded gain / loss. Provide details of legal action taken against the NPA cases. Details of watch list accounts/ concern accounts and special mention accounts. Details of process for determining the same. Analyse trends in past due loans by ageing bucket and net flow rates (based on information availability) for retail products and programmed based SME lending for the latest period; and provisioning held towards the loan portfolio as at 30 Sept 2018. Analyse static pool trends (based on information availability) by disbursement vintage for retail products and programmed based SME lending for the period covered; and provisions held towards the loan portfolio as at 30 Sep 2018. Obtain an ageing analysis (branch wise) and discuss recoverability and provisions for uncollectable amounts. Visit 2-3 branches and understand the policies and process for loan origination, disbursements, monitoring and collection process and understand adherence to process. Highlight assets not adequately seasoned potentially at risk. Details of interest rates, quarterly yield (IRR) and net interest margin for the period of coverage by loan product and state along with reasons for quarterly variations exceeding 25bps for each loan product / state. Alternatively, provide quarterly income (by income stream) booked by loan product and daily average outstanding portfolio for the quarter. Breakdown of income by recovery in written off accounts and detailed breakup of treasury income. Breakdown of other income by nature of income split between income from banking services and income from distribution of other financial products. Detailed computation of accrued income by loan product as at period ends. Details of monthly reversals to income on account of non-performing assets. Analyse the gross, net yields, NIM, Spreads ROA and ROE by lending portfolio and the Entity. Age analysis of overdue interest income. Policy adopted for with regards to overdue interest income and details of actual collections made related to these income. Schedule of income from assignment/ securitization (including loans that have turned into NPA) of loan portfolios during the coverage period. Quarterly breakdown of interest expense by borrowing and deposits product and institution along with reasons for change in cost of funds. Detailed breakdown of Depreciation on account of revalued assets. Detailed breakdown of operating expenses at quarterly intervals (including commission and incentives, marketing expenses, rent, insurance charges and excluding employee costs) incurred along with reasons for quarter on quarter movement in costs. Quarterly details of operating expenses including allocated HO costs by branch for the period under coverage. Schedule of office lease agreements by branch highlighting key terms such as escalation clause, tenure, monthly rent, security deposit, lock-in, renewal conditions, etc. along with copies of the lease agreements. Quarterly details of outsourced service cost, nature of services outsourced and agreements with service providers and reasons for year on year variations especially with respect to call centres, collections etc. Description of employee benefits (bonus, medical assistance, meal, loan, gratuity, leave encashment, etc. ), including items which are excluded from the payroll. Particulars of temporary as well as contracted employees (number of employees, department and cost), terms and conditions including remuneration structure. Perform an analytical review of the key components of the Balance Sheet. If required and applicable, a net debt adjustment schedule to be prepared to identify potential items that might have an impact on the valuation. Analyse the terms of statutory reserves. For all reserves understand the purpose and movements during historical period. Analyse whether 25% profit has been transferred to the statutory reserve fund as per RBI requirements. Details of any shares which have been issued for consideration other than cash in last 2 years. Shareholder agreements and other similar agreements and information regarding shareholding of institutional shareholders. Details of share options, rights or commitments made to employees or other third parties for issue of shares. Any options, debt instruments, agreements or other documents relating to or contemplating the issuance of additional share capital. Details of any special voting rights, dividend, borrowing, share transfer or other rights, arising from the Memorandum and Articles, shareholder agreements, etc. Fixed assets register with details of tangible fixed assets by branch – cost, depreciation, location including listing of idle and obsolete assets and non-operating assets. Details of assets on lease/hire purchase by branch and copies of lease/hire purchase agreements. Details of capital work in progress and capital commitments. Details of cost to be incurred to complete the capital work in progress. Copies of reports of physical verification of fixed assets. Details of investments held by instrument i.e. government securities, money market instruments, corporate debt and equity shares along with their classification i.e. Trading, AFS and HTM including cost of purchase of the individual tranche. Valuation policies for investments, detailed bases for the valuation of the individual investment and any diminution in the value of investment. Details on the maturity profile of the investments along with quarterly details of modified duration on the debt securities during the period under coverage. Detailed breakdown of investment in security receipts issued by ARC’s post sale of loans along with quarterly communication received from the ARC on the resolution performance of the individual loan and consequent valuation of the security receipts. Receivables ledger and aging analysis (0-30 days, 30-60 days, 60-90 days, 90-120 days, 120-150 days, 150-180 days, 180-270 days, 270-365 days, 365 days +). Receipts from debtors subsequent to balance sheet date. List of accounts operated with RBI, other banks (including overseas) as at 31 March 2018, 30 June 2018 and 30 Sept 2018. Bank Reconciliation Statements in respect of operating bank accounts as at 30 Sept 2018 including Nostro and Vostro accounts. Detailed breakdown of cash collateral placed by tranche of assets securitized along with quarterly details of drawdown from the individual cash collateral account. Yearly schedule of borrowing segregated by product – long term loans as also by source i.e. from other banks, financial institutions, NCD’s etc. Particulars for each loan -purpose of borrowing, name of lender, date on which loan was received, repayment schedule, rate of interest, details of security and margin, date of payment of interest / instalment, headroom available, penalties for non-payment, any penalties already imposed, etc. Copies of loan agreements and other agreements regarding financing arrangements. Monthly/ quarterly drawdown of loans by lender during the coverage period. Monthly average outstanding of borrowing by loan from 1 April 2016 to 30 Sept 2018. Monthly details of movement of deposits by type of deposits (current, savings and term deposits, FCNR) including opening balance, deposits mobilized, deposits repaid and closing deposits – the information is required by branch – alternately you can provide us the deposits tape for the period under coverage. Details of term deposits by range of contracted interest and tenure for the period ended 31 March 2016, 31 March 2017, 31 March 2018 and 30 Sept 2018. Details of provision against the legal disputes. Details and computation of liability for unamortized income. Details of fraud and provisions held towards held for frauds in advances account and other accounts. Details of outstanding bank guarantees, LC’s, derivative contracts. Details of BG’s invoked as at date included settlement of invoked BG’s. Details of MTM valuation of derivative contracts at 31 March 2018 and 30 Sept 2018. Details of litigation against the Bank, directors. List and details of any existing and potential lawsuits/claims – cause, amounts involved, latest provisions, etc. Disputes/claims with respect to employees, ex-employees, customers, vendors, etc. Analyse attrition rates during the period recovered. Understand the basis of provision for gratuity, leave encashment and other employee benefits and obtain the computation of provision/actuarial valuation at latest date. 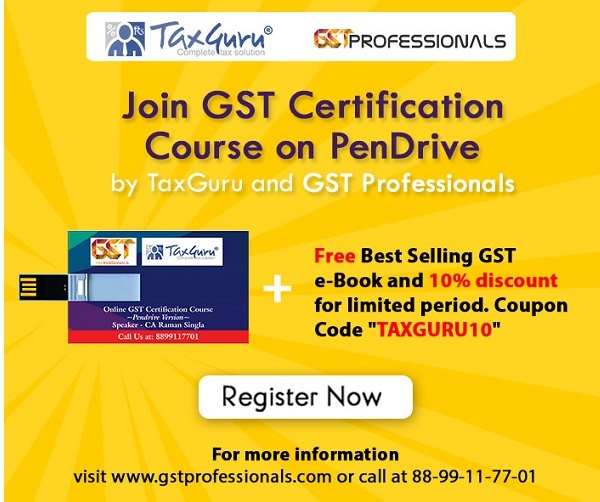 Obtain and read relevant documents including the Income-tax returns filed along with computation of income for the period covered. Understand the advance tax workings for the period covered. Obtain and comment on pending assessments and pending tax litigation and report on any pending/ outstanding issues. Based on the above, and on specific inquiries, comment on the status of assessments/ litigation. Also comment on pending assessments/ tax litigation and report on any pending/ outstanding issues where the tax impact in respect of such issues is considerable. Default under TDS compliance and management’s comments on the same. Discuss tax positions adopted and Target management’s perception on related exposures (for key business transactions identified by the Target management) and comment on the likely potential exposure, if any, on such tax positions for the period covered. Pending assessments, litigations, appeals preferred, rectifications and demands and replies to such demands in connection with indirect tax regulations and comment on significant matters affecting the Company as at 30 Sept 2018. Discuss management’s perception of the likely outcome of tax related disputes and comment on contingent liabilities potentially arising through issues under appeal/ pending assessments/ litigations as at 30 Sept 2018. Contingent liabilities disclosed in the financial statements with respect to the above indirect taxes as per latest audited financial statements. Last audit report, if any, issued by the indirect tax authorities for any one major location. Read a sample service tax return and a sample GST return for a major state for the period covered and comment on any significant ineligible input tax credit availed in the sample returns and/ or any significant mismatch in the disclosures in the sample returns. Status of GST implementation and compliance with regards to system and procedures.